Anytime you take a group of physically-challenged expats on a hike, I only have one name for that. 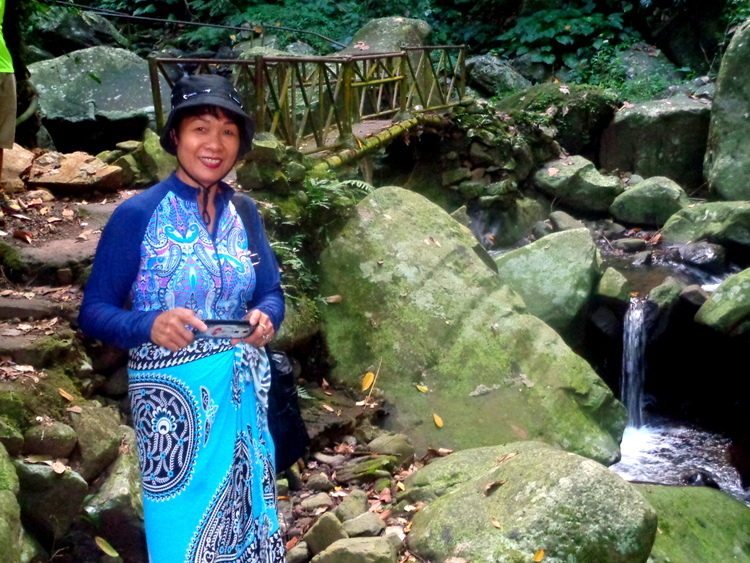 “Extreme Explorers: Mambukal Waterfalls Challenge.” Unlike our Filipina wives who actually have kept in shape, two of the foreigners that went on this trek were a few pounds overweight. Professor Paul, however, was the only male on this particular journey who was thin. As a result, Paul had a distinct advantage over Lee and I, though neither Lee nor I smoked. We had found reasonably priced motel rooms in nearby Bacolod City, the night before, Friday. Any time I can find a room for under 20 US dollars, I’m a happy guy. The lodging had good air con and afforded a pleasant night’s sleep. I’ll have more on our lodgings in a future post. We got off to an early start on Saturday morning, ready to explore the rest of the Mambukal resort in Murcia. Leader Lou and his lovely wife Lorna were sitting this one out. 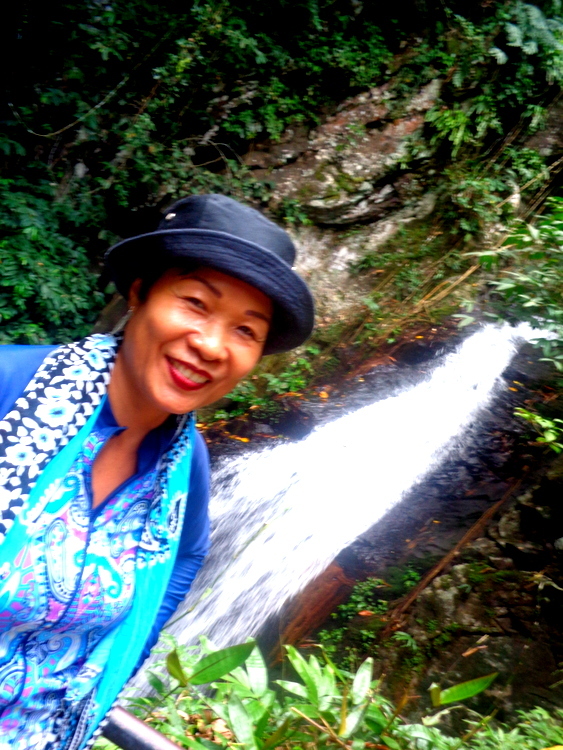 Lou had been on the Mambukal Waterfalls journey before. Lorna suffers from painfully bad knees. I can assure you that you don’t want any kind of physical impediment if you plan to take the waterfalls challenge. First of all, what exactly is the challenge? 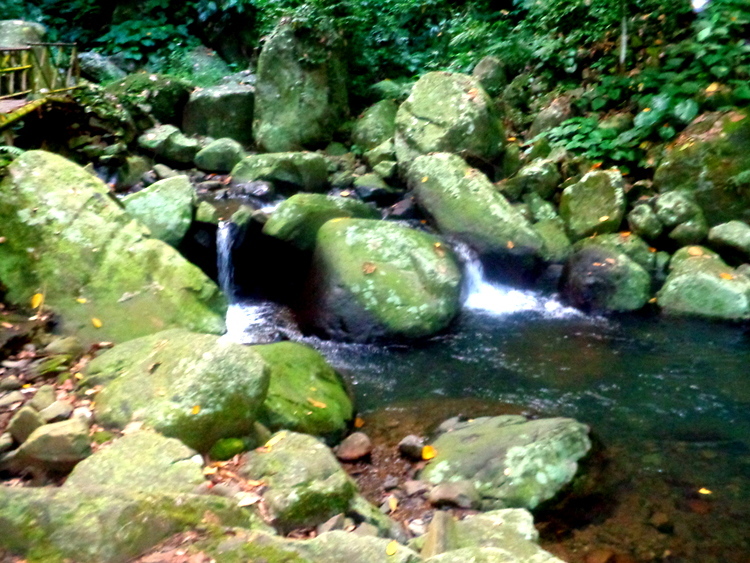 Hiking up to the seventh waterfall. 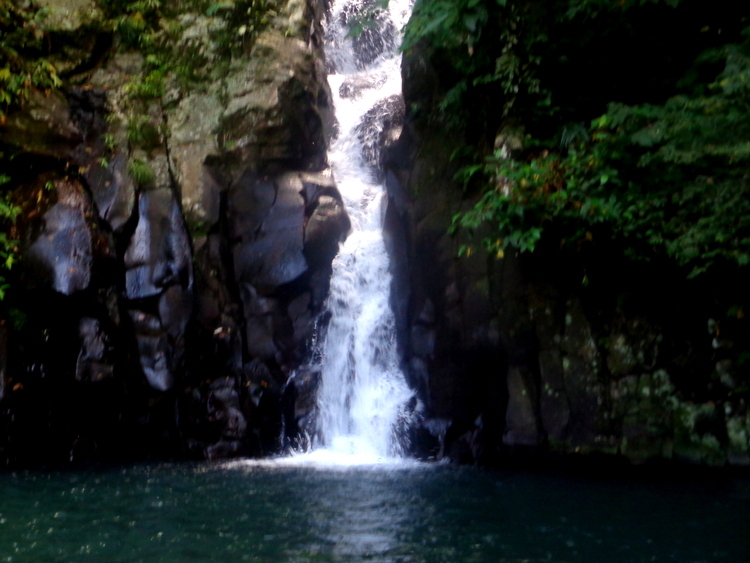 Most people, however, only make it to the sixth waterfall which has a swimming hole. Which level would we reach? “How far is it up the falls?” I asked a local guide. “20 feet,” I thought the guide said. By the time we finished our climb, it seemed like a lot further than 20 feet up. Therefore, I believe our guide must have been referring to how far it was to the first waterfall. 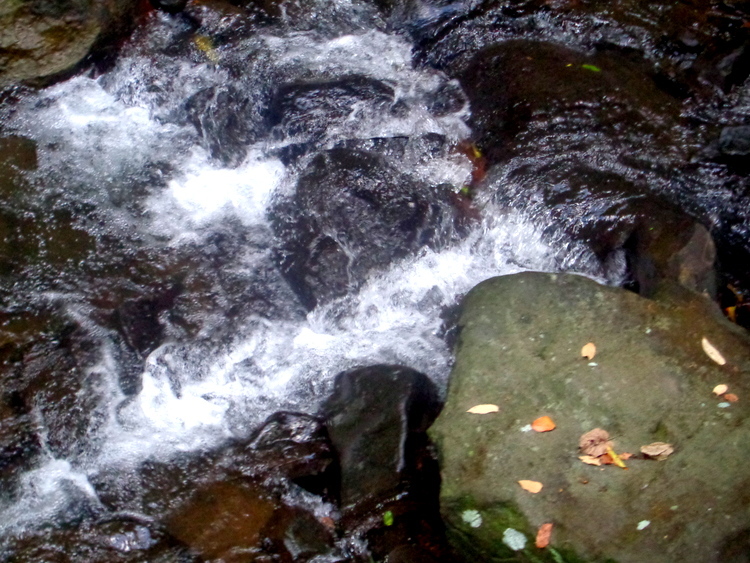 One hiker claimed that the seventh and last falls at Mambukal is a distance of 1500 feet. The flying fox bats swoop over the entrance to the Mambukal Falls by the thousands. 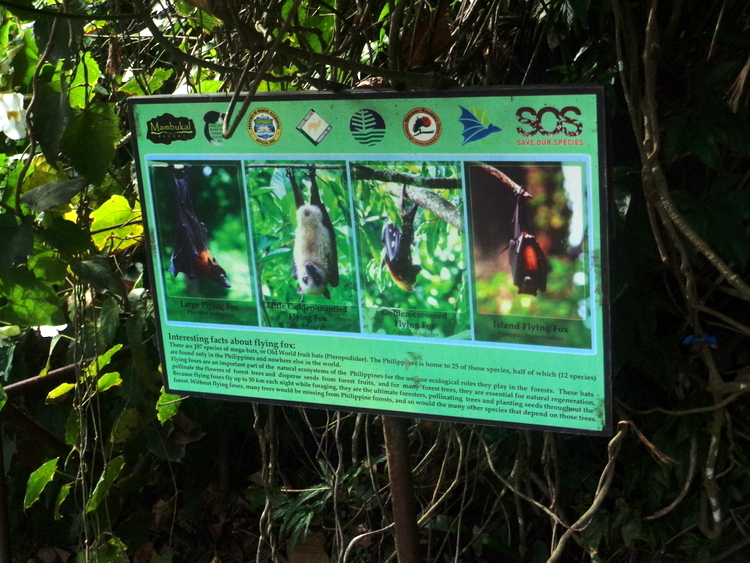 While I thought most bats were nocturnal creatures, this particular species of flying foxes were not. 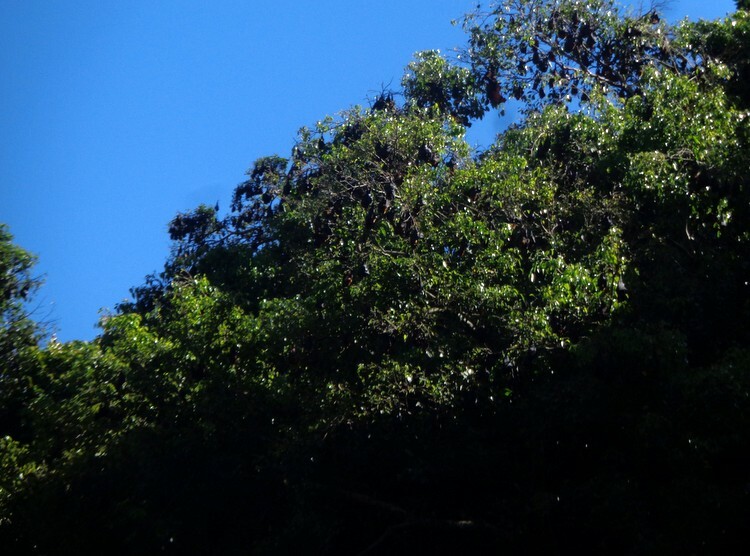 Consequently, if you check out the next picture, you can see a contingent of these flying foxes nesting at the top of the trees. 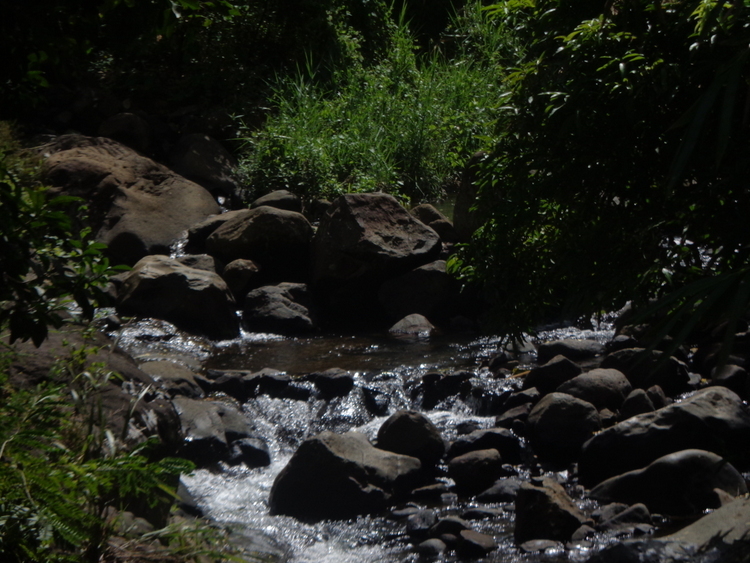 Here’s a glimpse of one of the smaller waterfalls at Mambukal. In the next photo, you’ll see part of our group crossing a bridge over these falls. Ahead of my wife is one of our guides, clothed in a lime-green shirt. Following my spouse is Janeth, and her husband, Professor Paul. Joy, Lee’s better half, is behind Paul. Popping out above Paul, is another guide. Three young boys, no doubt relatives of the adult guides, also accompanied us on the journey. Monetary compensation, however, was to be paid to the guides in lieu of an entrance fee. 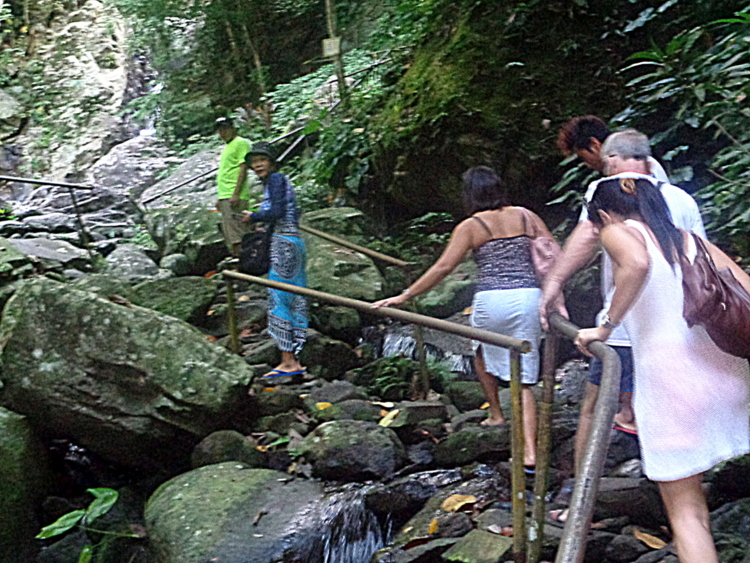 Fortunately, hand rails were available along most of the uphill climb to the different waterfalls. Mambukal’s first waterfall took us less than 15 minutes to reach. The first six waterfalls are clustered fairly close together. Frankly, I didn’t know how many of the waterfalls we would be able to reach. The trail is composed of dirt and rough stone steps, some of them very slippery. From the first waterfall, it took us approximately 20 minutes to reach the reach the second waterfall. It was an uphill climb all the way but at least we had a heavy cloud cover protecting us. Therefore, while we did have some shade, the humidity levels were quite high and I was drenched in sweat. We inched our way up to the third waterfall. 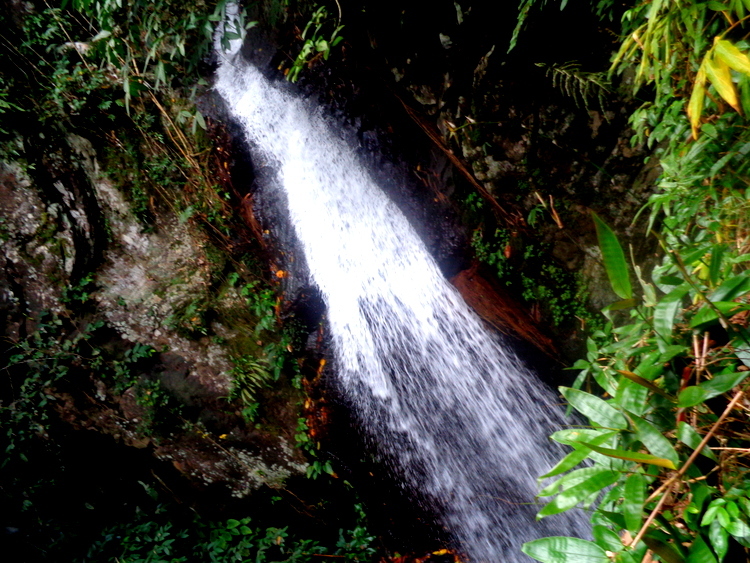 The third Mambukal waterfall is said to be the highest of all the seven falls. Though it didn’t rival the majestic falls I’ve witnessed at Yellowstone National Park, it was still quite a beautiful sight. We eventually made our way to the fourth and fifth waterfalls after taking several breaks. By this time, I had lost all track of time. It wasn’t a competition and I didn’t check my watch before we made our way up the path to the falls. 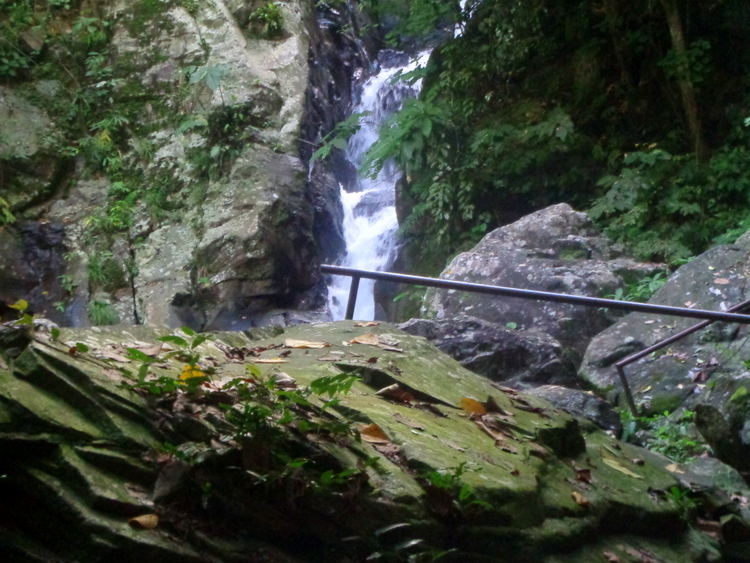 That said, I was glad when we finally reached the sixth waterfall. A seating area was available along with a sari sari store. We took an extended break at this point and refueled on some buko, coconut juice, and snacks. The sixth waterfall was still 10-15 minutes away. At this point, I didn’t know if we would ultimately reach the seventh waterfall which was another 30 minutes from the sixth falls. We would have to reassess our plan of action after our break.